It’s a typical day in January/February where there’s almost no wind and the sun is shining on the beehive in the afternoon. This kind of nice weather, where you can simply step outside without a jacket, stands out and then I also immediately think of my bees, because on such a day they grab a bit of fresh air and get rid of their faeces. Bee owners know that, so the wife is warned that the washing needs to be brought inside before 12:00 (does that still exist actually, hanging up the washing outside?). Round about 15:00, it becomes calm once again and the ladies are all nestled around their queen (the men were already thrown out before the winter) in order to keep her sufficiently warm. Her majesty has a good life with her subjects, because they always keep the temperature around 15 degrees Celsius by huddling around her and emitting their heat. What a service those girls deliver! Such a beautiful winter’s day has been a long time coming, but when the temperature reaches above 10 degrees, and the wind and rain keep a low profile, they start to feed on the Catkins, Crocuses and Snowdrops (if they are still blooming) at the beginning of/midway through March. On such a beautiful day, I take a look in the hive to see how the bees fared through winter. The honey from last year has almost been used up and the queen is already laying lots of eggs again, up to 2,000 per day! 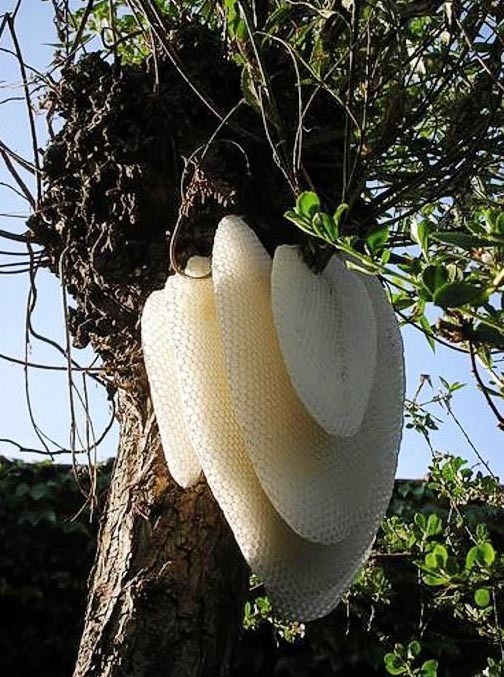 The larvae emerge out of the unfertilized eggs after 3 days and these grow rapidly, so pollen needs to be collected as soon as possible in order to feed them, and honey for the bees and the queen herself in tougher times, if it is raining and windy a lot. The first larvae that emerge are hard workers straight away, keeping rooms clean, feeding larvae and the queen, staying in the hive the first 20 days in any case and then flying outside in search of honey and pollen. 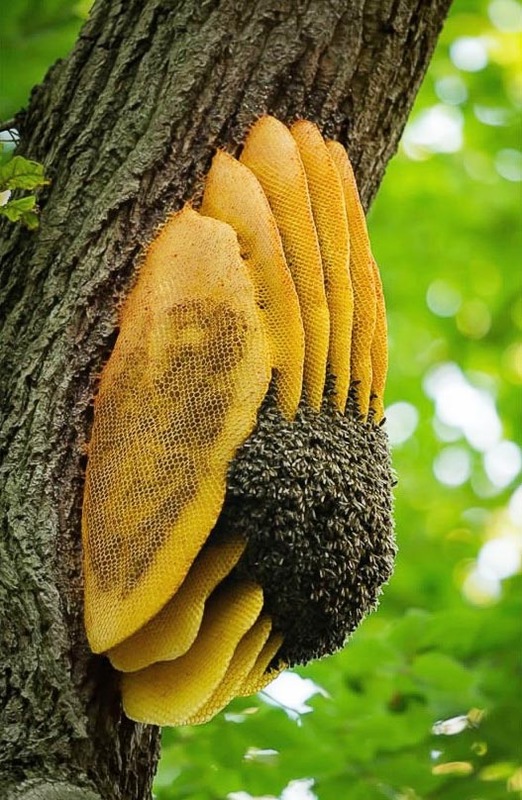 Some of them are strongly focused on expanding the nest with the wax they produce themselves. Great building material that wax, many artists would agree with that (think, for example, of wax museums). 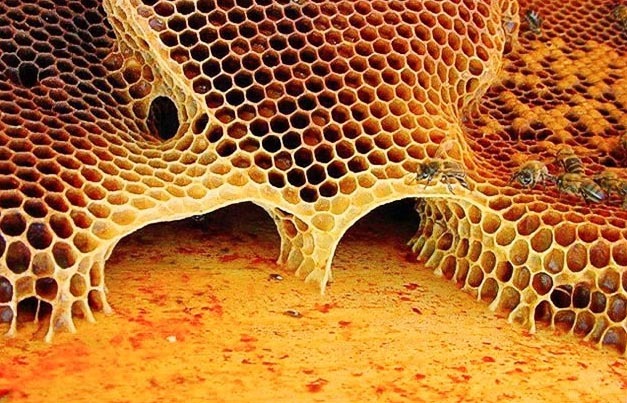 Using the wax from their wax glands, the bees build the hexagonal chambers, in which the larvae develop and the honey is stored; a very strong, ingenious construction and beautiful to behold. Like the very best arithmeticians; they start to build from two sides and together end up with precisely the same size chamber, now that’s precision! In my opinion, they are committed builders, artisans. In March, they are fully underway again and there’s something moving about seeing the kind of construction these winged ladies create; it does something to you. That building work of artisans demands respect. 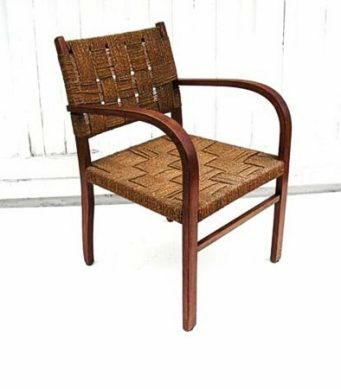 Carpenters who make wood ‘malleable’, plumbers who make true works of art with zinc, copper and lead, bricklayers who variegate the bricks in a pattern, road paviours, furniture makers, etc. To see such an artisan with his or her talent and passion is a gift. I can really enjoy it. The skilfulness, the casualness, the calm that it represents and the result. It fascinates me, surprises, relaxes and is enviable. In my eyes, it is often artists who devise the solutions while making something, and in doing so inform and help the architect; “Shall we do it like this, then there is a better connection with that other material and it will be easier to maintain”. The architect nonchalantly says, “Oh, if that’s possible”, but then takes a deep bow in his or her mind, and lets the artisan do his or her work. As furniture designer/ architect/ landscape gardener etc., you like to consult the skilled workers, you talk about the results of the phases that become visible, you see the details that make a difference and you like to have materials like wood and brick in your hand. The creatives who have to devise it behind the drawing board have often pursued many trades in their younger years; carpentry, bricklaying, paving, improving soil, planting, and have made the plans from paper to reality. It’s actually not possible any other way. 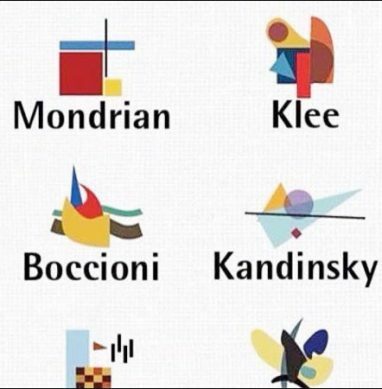 The creative must have touched the material with the senses, gained a sense of empathy with his or her project, and as a result of that seen the enormous range of possibilities. 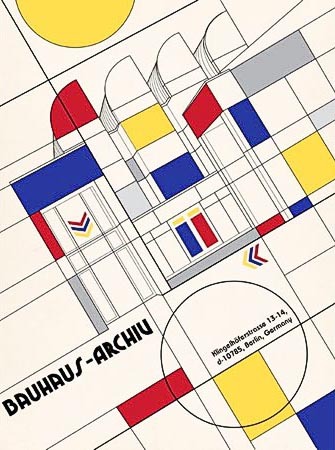 In 1990, I discovered that there was a study programme in Weimar at the beginning of the 20th century that trained artists, architects and artisans. I was pleasantly surprised and saw it as a confirmation of my beliefs; through practice, talent, enthusiasm and knowledge, coming up with designs together, which have innovative properties. 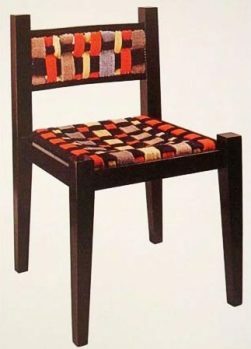 Bauhaus turned out to be a ‘discovery’, a source of inspiration, a place where different talents spurred each other on. 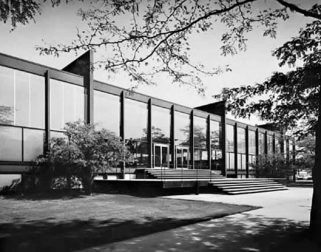 The Netherlands was also represented with teachers like Mart Stam (architect, e.g. 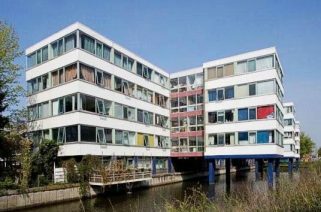 Van Nelle factory in Rotterdam, furniture designer), Theo van Doesburg (art, architecture, poetry, furniture) and several guest lectures by Piet Mondriaan. 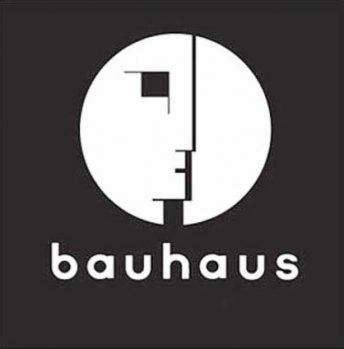 Bauhaus became a movement, a style. 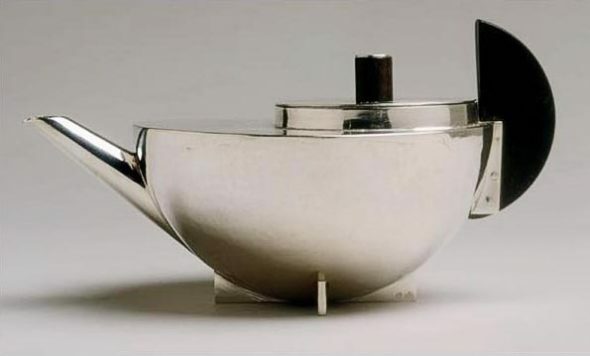 Sober, elegant yet economical, all frills omitted. 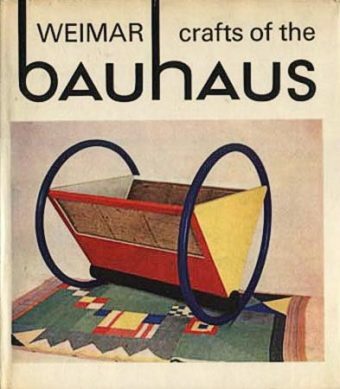 Around 1990, I read a lot about and saw a lot of Bauhaus, and became aware of two things. 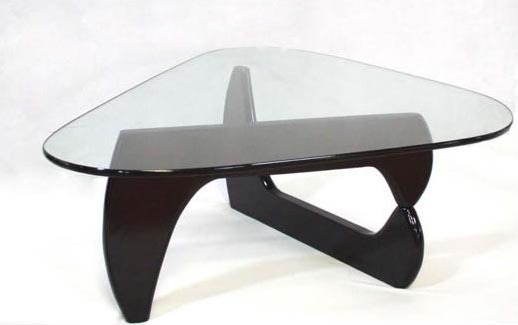 The first was that these designs and clean simple shapes go together beautifully with nature. Trees, shrubs, plants, continuously developing, dignified ageing greenery and the ageing of the hard materials, a beautiful blending of clean architectural shapes, with nature and vice versa. 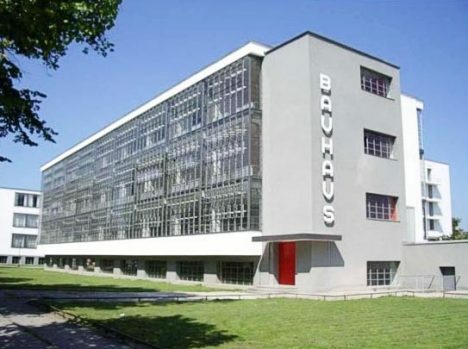 The second was the fundamental principle of the Bauhaus study programme: allow professionals, creatives, artisans, pupils, each with their own passion and talent, to collaborate and then the most beautiful structures and consumer items are created, true works of art.